In a letter issued to all the media (TV channels and Print), the poll body said the AIADMK's advertisement "Oru Kudumba Aatchi" (rule of one family) is telecast in electronic and social media based on unverified allegations or distortions. The Commission said the telecast of the video should be stopped forthwith. Further telecast of the advertisement will attract severe punishment and penal provisions of the Cable TV Act and other laws in force. The DMK had complained to the Election Commission against the AIADMK's advertisement which made baseless allegations against it. 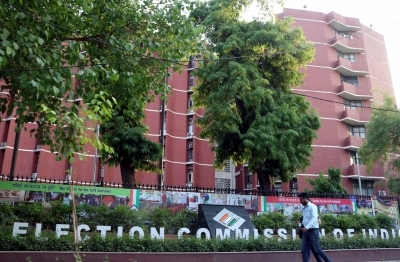 The poll body in its letter said political parties are telecasting/ broadcasting their advertisements without the approval of the State Level Media Certification and Monitoring Committee or being telecast without mentioning the approval number. The Election Commission had earlier banned AIADMK's advertisement as it made unverified allegations against the DMK.